Error messages at the »compressed air supported« rotary foosball table in the Kapsch Lobby? 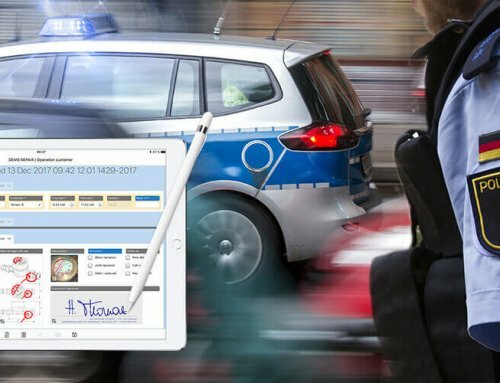 At the Kapsch Business Breakfast »Digital Assistance Systems«, we will present how digitization as well as mobile checklists and work reports with HybridForms can be helpful in such situations. 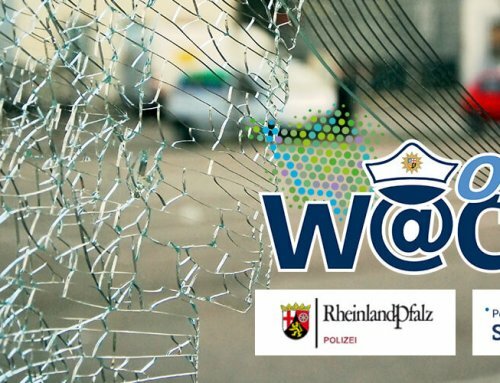 We cordially invite you to join us on this »smart« morning on 18th October 2017! Innovative companies from a variety of industries show that digital assistance systems, virtual reality and smart glasses are no more a dream of the future but are increasingly becoming a fixed working tool and an integral part of business processes. But what’s really behind it and how can you make use of this kind of digitization? 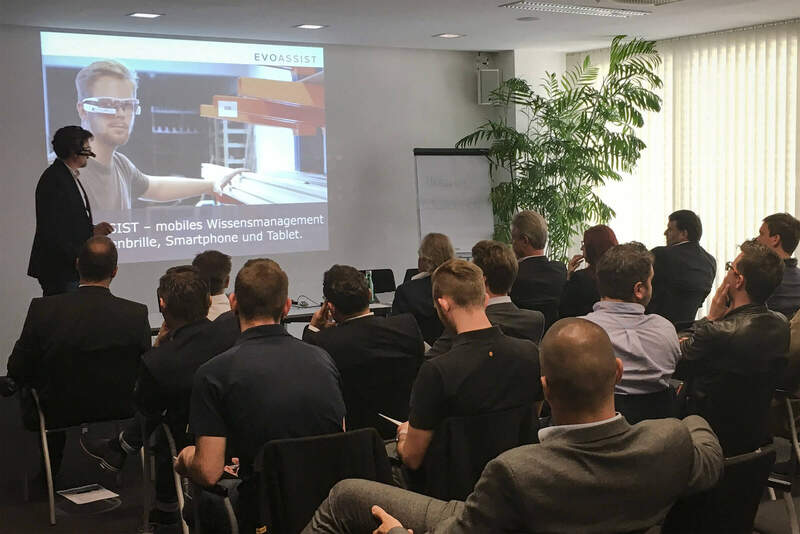 How does Kapsch BusinessCom approach these kind of issues as a digitization partner and how do we develop innovative solutions for different industries? Learn how we support our customers in the digital transformation – right from the concept planning to the implementation and then continuous further development. 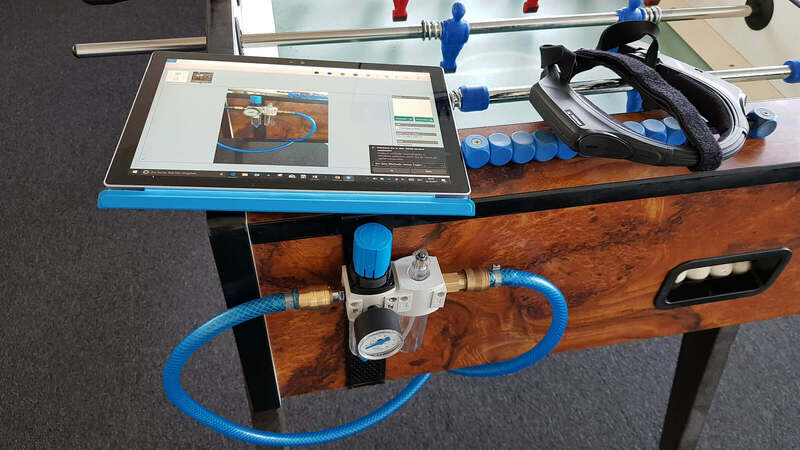 The Kapsch compressed air-rotary foosball table has a problem and the air pressure regulator must be repaired by a field service technician at the customer’s site. Absolutely no problem, thanks to the tablet and the data glasses. See for yourself how the technician is supported through these assistance systems with additional expertise. 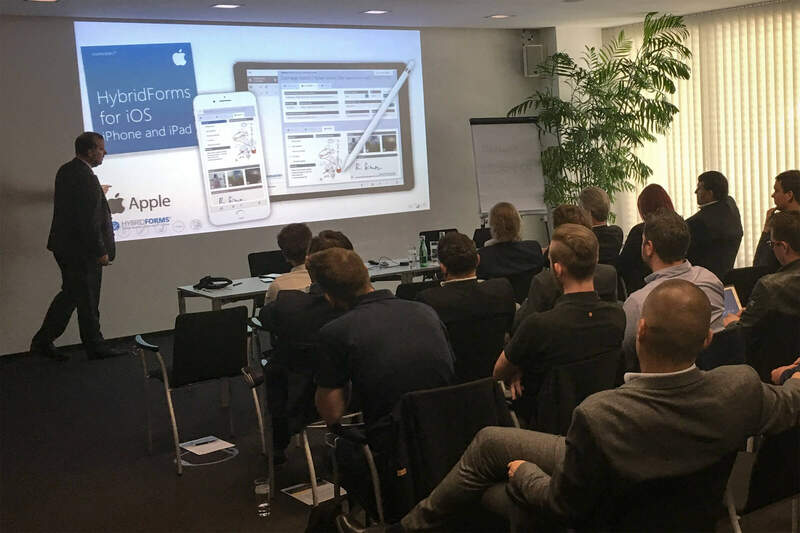 HybridForms: With HybridForms on the tablet, you already have detailed work instructions as well as the work report that the customer can sign directly on the tablet. 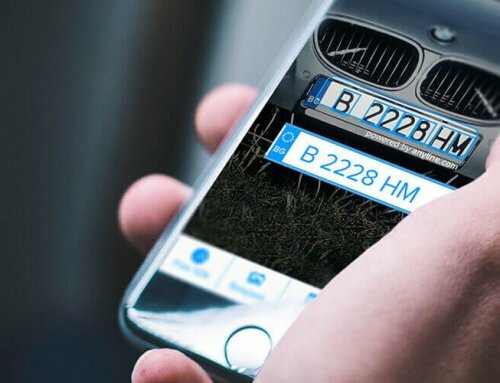 EVOCALL: When the support of an expert at the head office is required, the technician can access his expertise using the data glasses, with the help of EVOCALL. 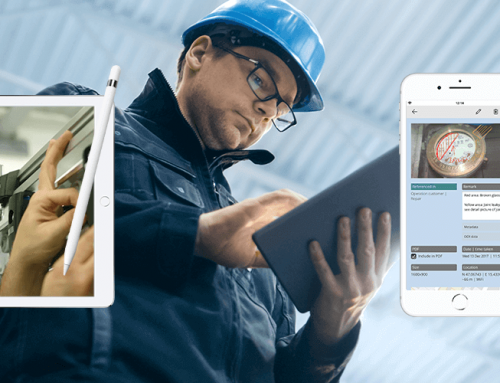 EVOASSIST allows experienced employees to record their activities visually (photo or video record) through data glasses or smartphones. It allows them to create intuitive work instructions or training videos directly on the spot. 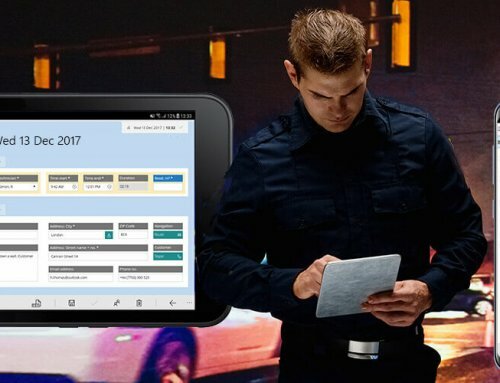 Thanks to the intelligent context detection, other employees will receive the relevant information automatically. 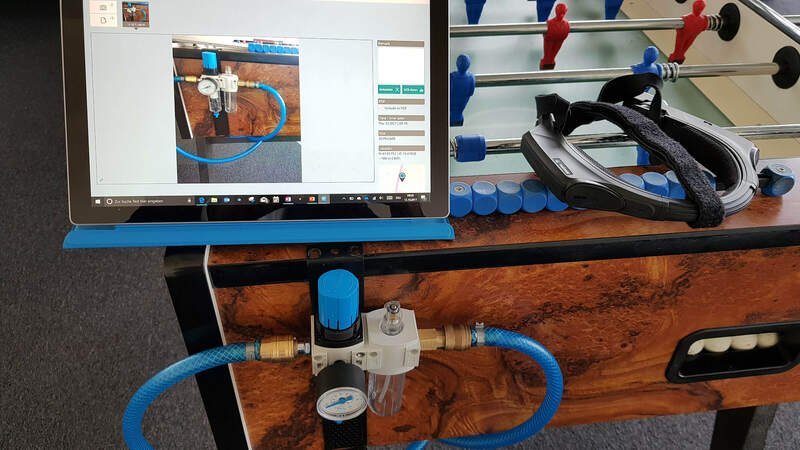 This allows EVOASSIST to efficiently enhance knowledge management on the shop floor and in the service. An experience report from the practice: Thomas Lindner of Mayr-Melnhof will give an insight into his experiences with digital assistance systems and how his company could benefit from this. Test different data glasses and the solutions which were presented earlier. Have a look into the future of the world of work and the supply of information with HoloLens and exciting Mixed Reality applications. Take an advantage of the opportunity to try digital assistance systems and the underlying platforms and to discuss with our experts, partners and other participants. Take the opportunity to exchange experiences with experts from Kapsch BusinessCom, icomedias and other participants from your industry. We are looking forward to your visit!